What are Primary, Secondary, and Tertiary Colors? Colors are one of nature’s greatest gifts. With only a few simple changes in hue and shade, we can know so much about the world just by being able to see what it looks like. Colors can make us happy, sad, angry, confused, and all sorts of other emotions, both from their association with other things and just for the way they appear all on their own. At first glance, colors may seem easy to understand, but really thinking about it can lead to many more complex and insightful thoughts than you’d originally bargained for. But before any such thoughts can truly be pondered, it’s essential to understand the basics of color and color theory. In this case, that would be the primary, secondary, and tertiary colors. Primary colors are the building blocks of all the other colors on the spectrum. While what the primary colors are can change depending on what medium you choose to approach them from (color printing’s primary colors differ from those of the light spectrum, for example), this will focus on the traditional primaries as they are presented in art and color theory. Those colors are: red, yellow, and blue. 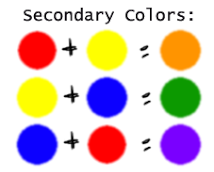 Secondary colors are made by mixing together two primary colors. 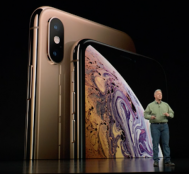 Secondary colors are achieved specifically using equal parts of primary colors, as well, meaning you must have just as much of one color as the other to achieve the true look of a secondary color. As with primary colors, these will change depending on how you approach them, but this will cover color theory for consistency. Using this model, we find green (a combination of blue and yellow), orange (a combination of yellow and red), and purple (a combination of blue and red). Tertiary colors come about when mixing a primary and a secondary color, opening up many different shades of a particular color. Essentially, this means that one primary color is featured in greater amounts than another in a mixture of colors. There are six major tertiary colors with many variations on each. These six are: Vermilion (orange combined with red), magenta (red combined with purple), violet (purple combined with blue), teal (blue combined with green), chartreuse (green combined with yellow), and amber (yellow combined with orange). As with the other two categories, the exact colors will change depending on which set of primary colors you approach. Black and white are special colors that cannot be made through traditional means. In light, black would indicate a lack of light (i.e. no colors on the light spectrum are present) while white would indicate all three primary colors of red light, blue light, and green light are overlapping, essentially being a combination of all visible colored light. This does not work the same with traditional primary colors, though, as combining all colors equally will only result in a brownish color, while it is impossible to attain a pure white through color mixing. The world of colors is fascinating with many hidden depths yet to be discovered. Through understanding primary, secondary, and tertiary colors, we can create new forms of expression and better recognize details of the surrounding world. 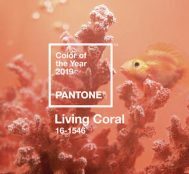 There’s much more about colors that we’ve yet to explore, though, as different viewing mediums and associations can drastically change how colors are viewed and interpreted.